The West Virginia Supreme Court, applying West Virginia’s medical malpractice cap, affirmed the trial court’s decision to cut a $10 million medical malpractice verdict against a West Virginia hospital and one of its doctors down to $1 million. Plaintiff’s lawyers contended that the non-economic damages cap in medical malpractice cases in West Virginia did not apply to the jury’s verdict because their claim against the hospital did not arise out of the care and treatment of the Plaintiff but instead because of the hospital’s failure to control an environmental serratia outbreak which the jury found caused Plaintiff to contract a nearly fatal infection during an otherwise routine anterior cruciate ligament (“ACL”) surgical reconstruction in 1995. Relying on judicial estoppel, the West Virginia Supreme Court disagreed in a tight 3-2 decision. The court found that Plaintiff pursued the case as a medical malpractice case in the pleadings, in their requested jury instructions, the agreed upon verdict sheet, and in Plaintiff’s closing argument. 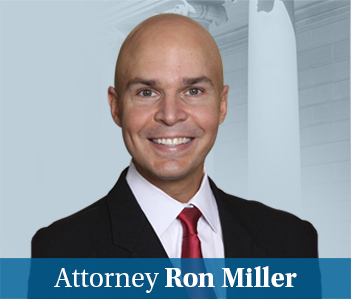 Like most personal injury attorneys, I dislike medical malpractice or any other caps on non-economic damages. But I also believe in applying the law and suspect that this was the right decision. I say “suspect” because two judges did dissent but neither have issued an opinion. There still may be a dissenting opinion; in West Virginia, they put out the majority opinion when it is ready even if the dissenting opinion has not yet been drafted. I will be interested in seeing specifically why those judges dissented. Politically, you also have to figure that all things being equal, the West Virginia Supreme Court would rather not have a ten million dollar judgment against the state’s premier hospital. Moreover, even I will admit that the verdict seems high given that there was no mention of any permanent injury. I’m not mimimizing what appears to be an awful case that almost killed a 15 year-old girl. I’m just not sure if the damages should be eight figures. The Plaintiff’s medical malpractice lawyers likely did not expect a $10 million verdict because they were clearly couching the case as a medical malpractice case, fully aware of the cap, when they really did not have to do so. Of course, the preceding paragraph does exactly what I always complain about when others do it: second guessing a jury’s verdict when they sat through the entire trial and were in the best position to make the call as to the appropriate damage award. But on the limited information I have, and assumptions I am making because the Plaintiff’s medical malpractice lawyers set up the case as a medical malpractice case (knowing about the cap on non-economic damages and the lack of facts regarding permanency) and my own limited knowledge of serratia bacteria infection secondary to surgery, a $10 million verdict seems awfully high. You can click on the link for the West Virginia Supreme Court Opinion.